Martin R. Hullender, son of Mr. and Mrs. M.C. 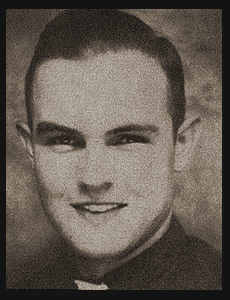 Hullender, graduated from Frederick High School and Radio School in Port Arthur, Texas; husband of the former Lorene Linker. Entered Merchant Marines in April, 1945, served in France, Japan, Canal Zone and the Philippines; is now on duty in the Pacific Zone.